This is something as peculiar as a Marxist critique of Alfred North Whitehead's process philosophy, somewhat provocatively titled “Process and Unreality”. The author, Harry Kohlsaat Wells, was a former student of Whitehead. He doesn't mention his Marxism in this book, but another work by the same author (“Pragmatism, Philosophy of Imperialism”) was published by Lawrence & Wishart, a publishing house associated with the Communist Party of Great Britain. Wells believes that Whitehead's philosophy is a colossal failure, since its avowed purpose is to avoid “bifurcation” and dualism, yet it ends up bifurcating even God himself (not to mention the cosmos). Wells commends Whitehead for trying to come to grips with modern physics, according to which everything is in a state of constant change and flux. However, since Whitehead didn't accept Hegelian dialects (or any dialectics), he was forced to reconcile the constant flux of the world with a traditional method based on immutable Aristotelian syllogisms. Since this is impossible, Whitehead ended up with a world bifurcated between “events” and “objects”. The “events” are in constant flux and seem more or less impossible to define in any rational (or perhaps rationalist?) manner. “Objects”, by contrast, are a kind of quasi-Platonic ideas. They are “values” or perhaps “qualities”, are unchanging and “ingress” in the flux of events, giving it a rationally graspable character. A discreet physical thing is apparently an “object” somehow incarnating into an “event”. I assume the same is true of a discreet action. Whitehead believed very strongly that rationality is only possible on the basis of the principle of non-contradiction and other basic logical propositions (A is A, A is not non-A, the excluded middle). Thus, logic is not just a method, it is also ontological and reflects the basic matrix of the cosmos. 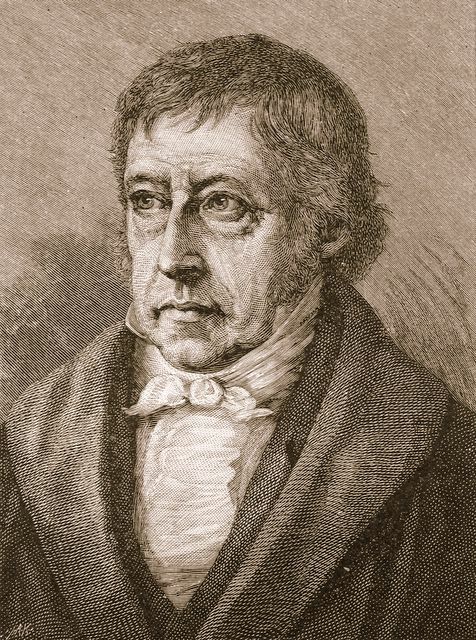 Wells, by contrast, believes that the Heraclitean flux of the world, confirmed by modern science, makes it necessary to discard (or rather transcend) classical logic of this type in favor of dialectical logic. The unity of opposites, the contradiction between the past and the future in any phenomenon, and the turn of quantity into quality, are the real basis for rationality. In this book, Wells stops at Hegel, but he does imply that he is unsatisfied even with him, since Hegel believed that all contradictions would one day be solved or reconciled by the Absolute Spirit. (Wells apparently disagrees.) The author claims that Whitehead never studied Hegel, only the neo-Hegelians. He therefore never understood how Hegelian dialectics could save his process philosophy from bifurcation. There are other problems, too. How do the never-changing rational “objects” incarnate-ingress in the constantly changing and irrational “events”? Whitehead talks about “rhythm”, a mysterious quality of harmony between object and event which gives rise to life in an organism. But what establishes this harmony? In the end, Whitehead has no other choice than to appeal to God. It is God who creates harmony between object and event. God is a kind of absolutely perfect, non-contradictory, aesthetically pleasing Platonic Überform which creation desires and strives to emulate. Contradiction is evil, indeed the very definition of evil, according to Whitehead, so God's plan entails the removal of contradiction, or its replacement with purely aesthetic contrasts. But how can God reconcile the events and the objects, or the world with himself? As a final twist, Whitehead is forced to introduce a fundamental dualism into God himself, making him “dipolar”. What makes God able to bring together object and event is that *his own nature* is divided into an object-like side and an event-like side. But doesn't that really imply that God is fundamentally at odds with himself? “Process and Unreality” is interesting for a number of reasons. First, Wells pictures his former teacher's teachings somewhat differently than David Ray Griffin (Whitehead's foremost disciple today). Whitehead's philosophy comes across as more “nutty” and obviously wrong, but perhaps that's just an artifact of the polemical style? Second, Wells describes the Hegelian method very positively, making it sound almost rational. This could surprise those bred on, say, Popper or Bertrand Russell. Third, the book confirmed my impression of process philosophy as a peculiar combination of modern and pre-modern (not necessarily a bad thing), with the Platonic, Aristotelian, religious and “metaphysical” aspects representing the pre-modern side. Fourth, the book could be used as a tie-in to the debate between Griffin and Huston Smith – while H Smith, of course, is no Hegelian, he does emphasize “contradiction”, while Griffin strongly emphasizes rationality, clearly having a strong commitment to this. Perhaps that is what process philosophy ultimately is: an attempt to salvage rationality in a Heraclitean world. And who knows, maybe we do need God to do it, after all..